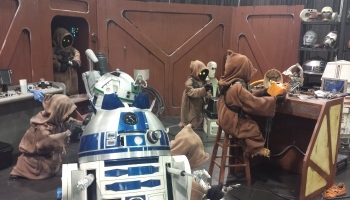 A couple of weeks ago, Pure Costumes decided to take a trip to our local Renaissance Fair. You can read Alia’s recap of our trip here. 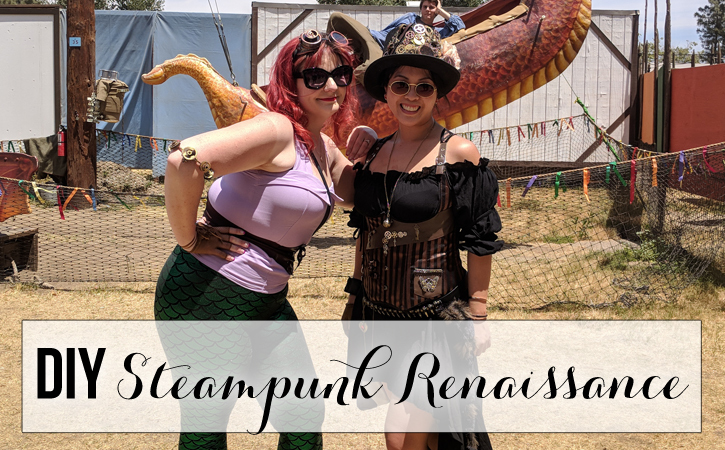 The weekend we visited happened to be Time Traveler’s Weeked so we decided to break out our best Steampunk looks. 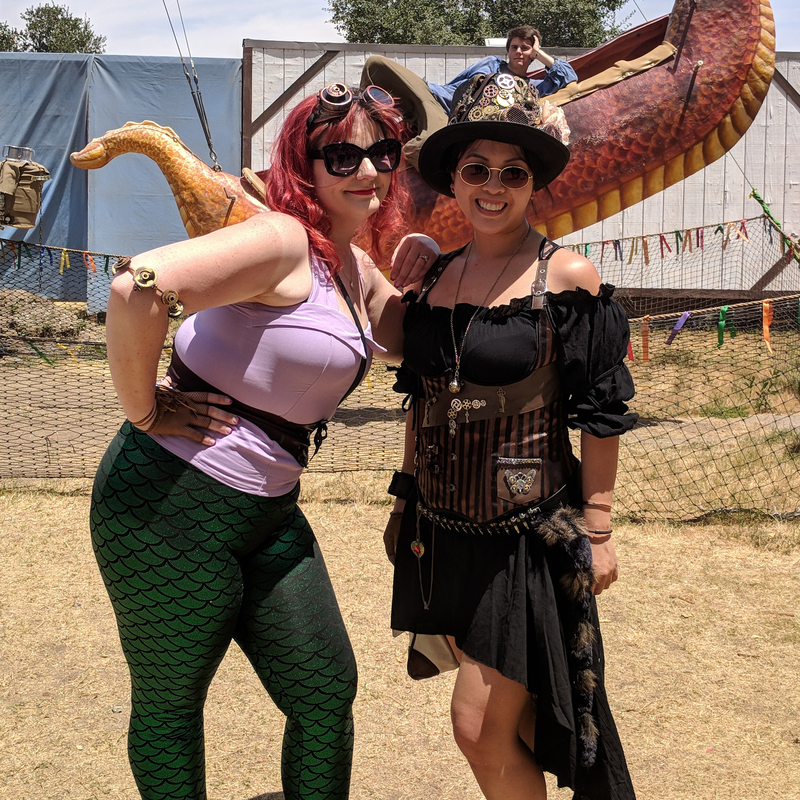 Amy went with a cute Steampunk Ariel outfit while I went with a more general Steampunk Renaissance look. Let me take you on a journey of how I created my outfit. 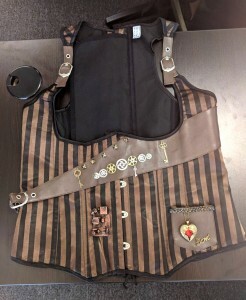 I started out with two basics, the Renaissance Peasant Dress Adult Costume in black and a brown and black striped corset that screamed steampunk to me. I didn’t want to stop there, though so I had to accessorize. 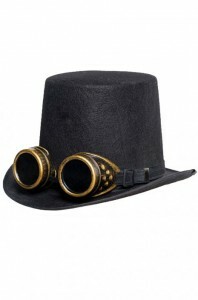 I decided to add the Steampunk top hat with goggles and our bullet pouch. The pouch ended up being to small to fit my giant phone though so I ended up ditching the pouch and just wore the bullet belt by itself. I also decided to add a raccoon tail to the bullet belt for a bit of a ruggish look. 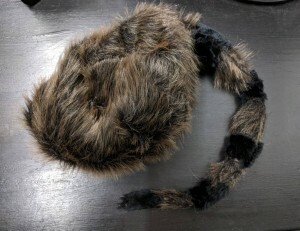 To get this look, I cut off the tail from this raccoon hat I had and hot glued it to my belt. However, I still felt the look a little lacking so I decided to embellish the outfit with whatever I could find. My idea of a Steampunk look is a mixture of junk that this Steampunk time traveler has collected over her travels, so I literally dug around my house for old trinkets. I found a bunch of old jewelry that was laying around and collecting dust and took them apart to hot glue to my hat and corset. I also had some skeleton key decorations that were left over from my wedding that were perfect for the look I was going for. 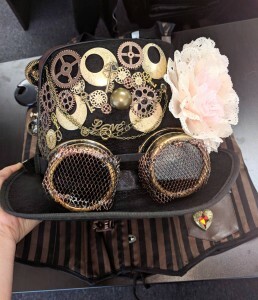 However, I also wanted specific gear pieces for more of a Steampunk feel so I bought some online and also broke off some pieces of a Steampunk mask that I had. I didn’t really have a plan or any rhyme or reason to how I glued everything on. I just did whatever felt right. The end result? And that was it. 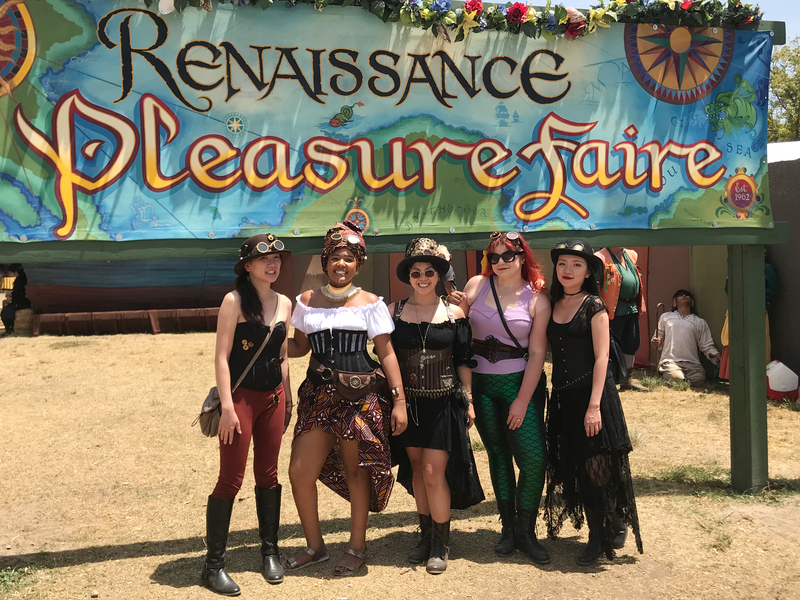 I completed the look with a pair of brown combat boots and round brown sunglasses and I was all set for the Renaissance Faire!